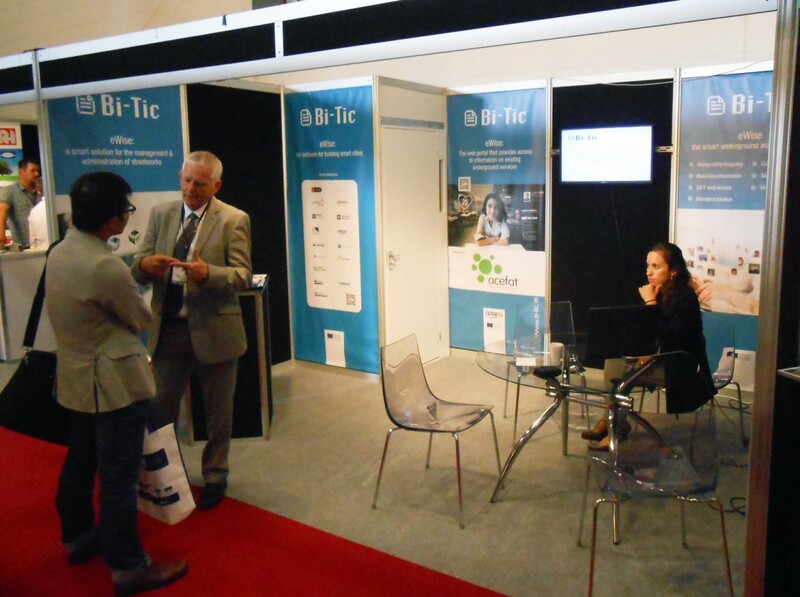 Between the 16th and 18th of September 2014, Bi-Tic presented successfully eWise at the No-Dig Live Exhibition in Peterborough, the United Kingdom. The No-Dig Live is an event celebrated in the United Kingdom every two years and it is addressed to manufacturers, contractors and utility companies focusing upon underground technology. This year, more than 1,000 visitors from across the sector registered for the event, and Bi-Tic has had the opportunity to present eWise to a number of positive contacts which have the potential to lead to the development of business in the UK. Bi-Tic has perceived a notable interest of the British market for the eWise as a service that can improve the information exchange systems of the streetworks and roadworks. At the end, it means saving money, time and avoid accidents by being more efficient and coordination all the actors involved on the process. Concluding, the reaction to ‘eWise’ has been very positive and it is clear that there is demand for such a system from potential users who see the clear cost benefit. Bi-Tic’s team we are satisfied with the experience and we will inform you about our actions in the UK, as for example our participation to SUE Symposium organized by organized by the Transport for London (TfL) this October or the 2014 National Joint Application Utilities Group Awards.